Photographing weddings in Vermont is the dream of many wedding photographers, and we consider ourselves lucky to be able to do so in the summer and fall months. Not only is the scenery breathtakingly beautiful, we’ve found that the couples who choose to marry in Vermont are easy-going and are looking for wedding photographers who will document their day in a natural and unposed style. Working the landscape of Vermont into not only the portraits of you and your new spouse but also the scene-setting images of your venue is very important to how we document weddings. Our goal as photographers is for someone who wasn’t present at your wedding to be able to feel like they were there; this could be someone who was sick or otherwise unable to attend, or someone you haven’t met yet but who becomes very important to you later in life. Thinking about your wedding images from the perspective of someone in the distant future is a somewhat unusual way of viewing the day, but we’ve found that it works to make sure we don’t miss images that feel very “now”. This could be something as simple as including your cell phone in an image; while it’s a modern phone on your wedding day, what kind of cell phone will your granddaughter use? An iPhone may look as quaint and archaic as a rotary wall mounted phone does to us today. The same thing goes for documenting the actual weather, regardless of what it is. If it’s surprisingly windy we’ll embrace the blowing hair and dresses and strive to capture the feel of the gusts of wind so that you can look back in twenty years and remark, “Remember how windy it was the day we got married?” There is beauty in the mundane details of life; there is truth in images that show things as they are, not as idealized versions of themselves. 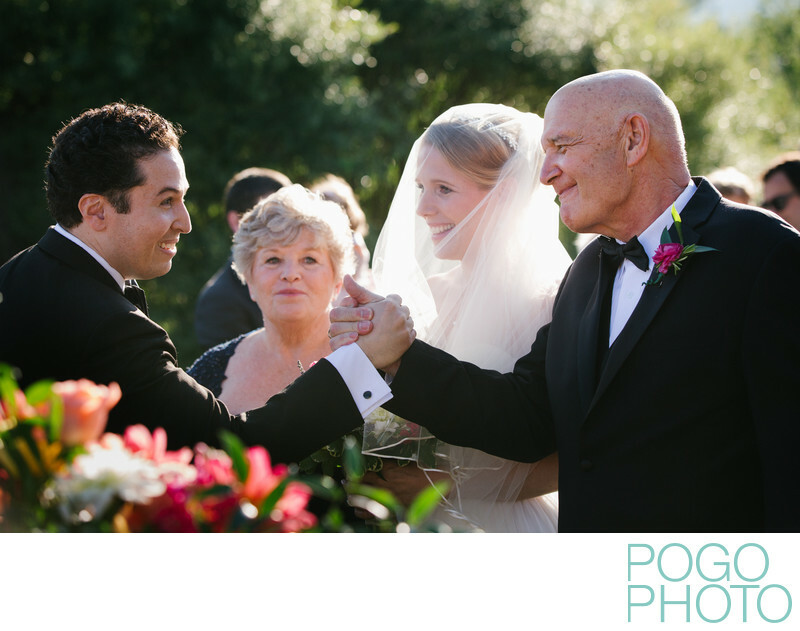 Throughout most of the wedding day we blend into the background whenever possible, creating images that document the feeling of your celebration without interfering with the events as they unfold. We help arrange things like a First Look if you want; finding a location with beautiful light and some privacy (and a beautiful backdrop) is essential, but then we step back and let you react to each other with whatever emotions, expressions, gestures, touches, or words that come to you naturally. We’ll gently guide you during your portraits, but for the most part we want to capture genuine emotion and see the real you without micromanaging how you stand or what you touch. Even if you haven’t often been photographed by a professional you don’t need to worry; we’re practiced and experienced at capturing real couples and the love they share. Many of our past clients have exclaimed over how easy their portrait time felt; we prefer to treat that time like we’re old friends wandering a beautiful location, which removes the stress of having a shot list and lets us focus on what we do best: creating images filled with genuine emotion, laughter, and friendship. Location: Hildene, The Lincoln Family Home 1005 Hildene Rd, Manchester, VT 05254. 1/640; f/4.0; ISO 400; 90.0 mm.